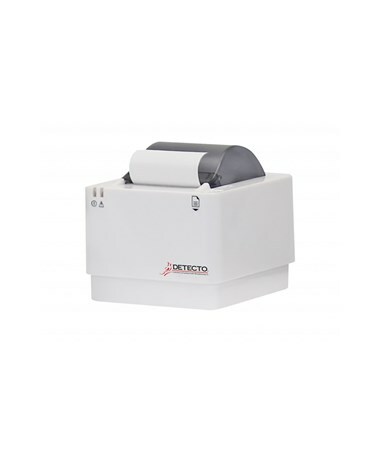 Detecto's P50 printer can be mounted or used with any ProDoc medical scales that have RS232 serial connectivity. 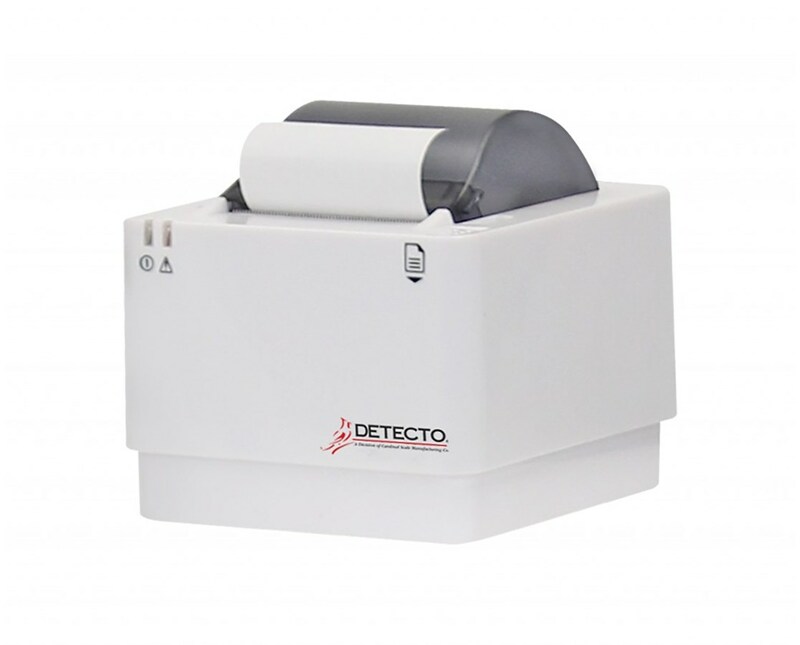 AC power and direct thermal dot line printing make the P50 ideal for printing patient records. 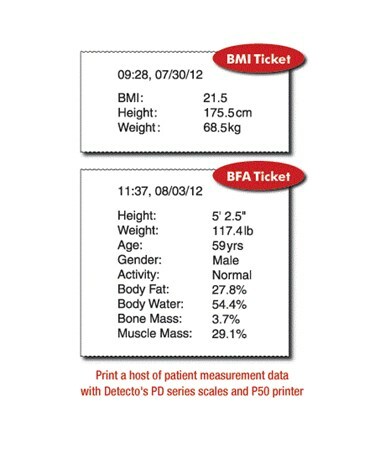 Print Data Time, Date, Height, Weight, Age, Gender, Activity Level, BMI, Body Fat, Body Water, Bone Mass, and Muscle Mass on DETECTO's ProDoc Body Fat Analysis Scales.